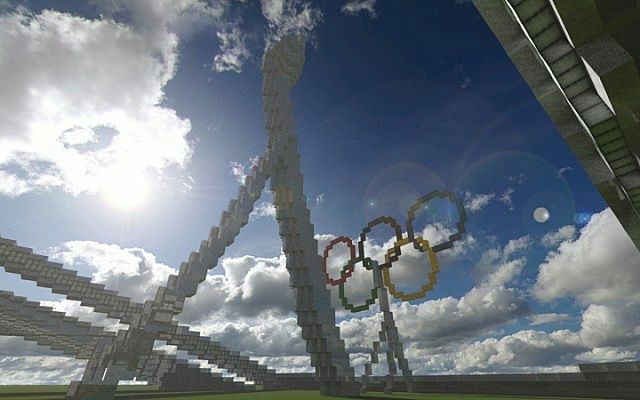 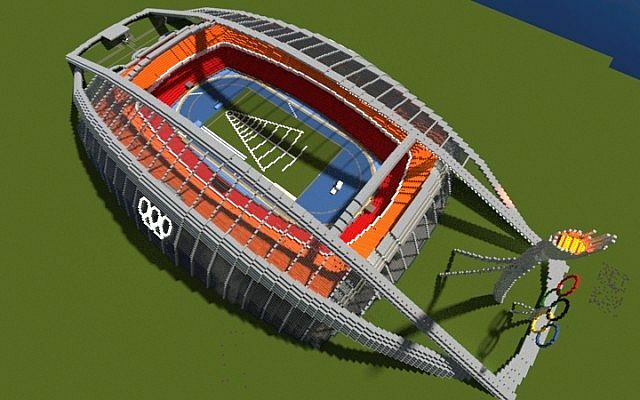 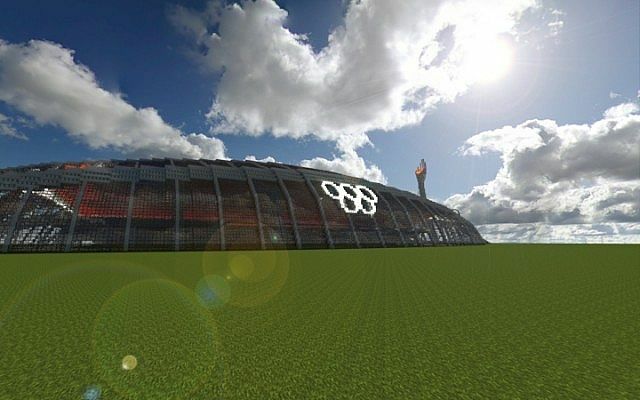 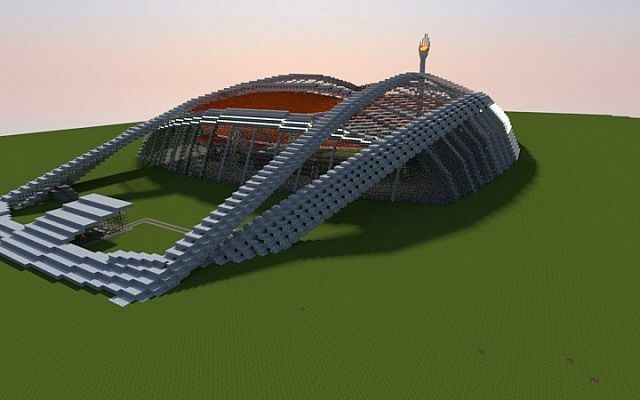 Olympic Stadium Map for Minecraft brings you to a olympic stadium with unique design. 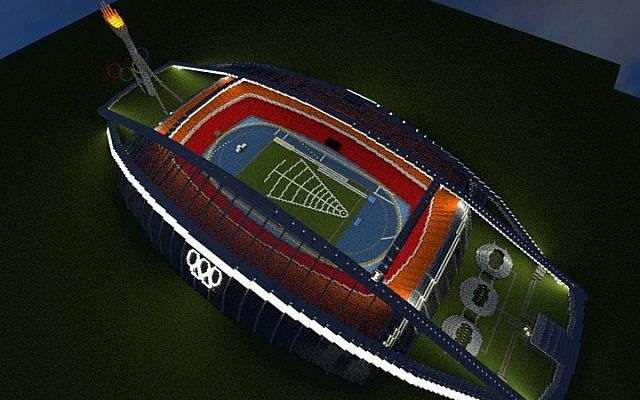 The design of the stadium is defined by the four arches that span the entire stadium. 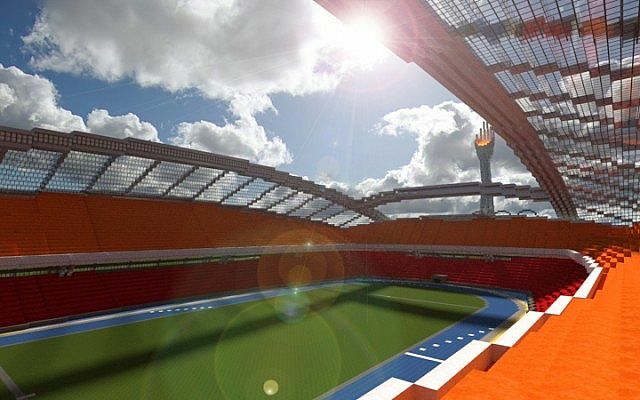 These are designed to partially carry the load of the second tier seating, and to support the glazing (as there is both an enclosure outside of the seating, and the glass canopy). 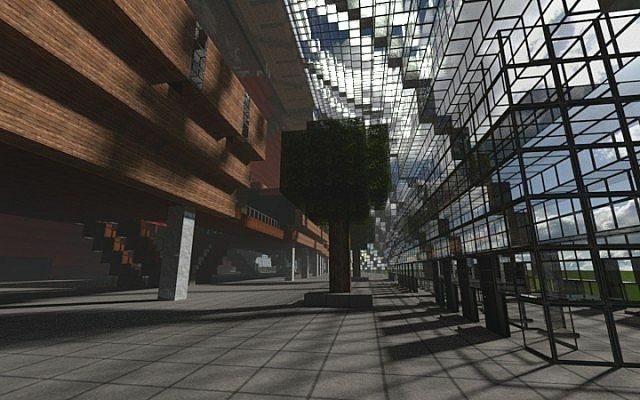 The lighting is also another key element in the design. 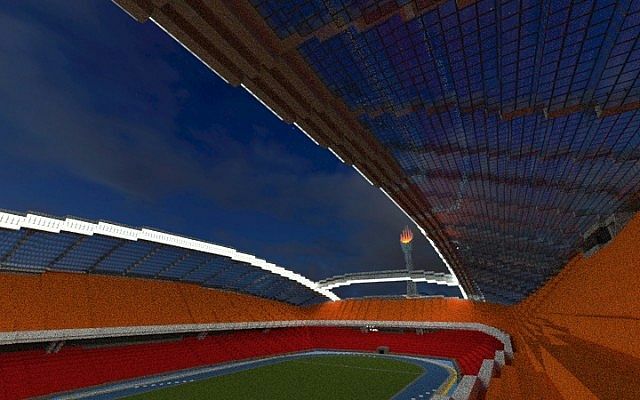 The facade of the outer arch lights up the contours of the stadium, while the inner arches act as the stadium lighting. 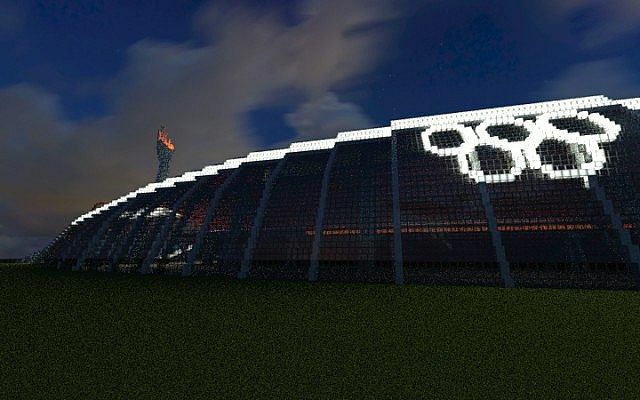 All of these lights are controlled by redstone from three switches (two for the exterior lights, one for the stadium lights) from the small building opposite the Olympic cauldron.